Think about it: we pretty much carry our lives around in our purses. Whether you’re a thrifty handbag shopper who buys second-hand, or you’ve splurged on a high-end purse, chances are, when you add up the full contents of your purse – ID, wallet, phone, makeup, credit cards, cash, etc – the sum is going to be a pretty penny. In fact, British retailer John Lewis recently estimated the cost of replacing the contents of your purse (as well as the bag itself) and the number was staggering: up to $1500! What if you could sport a super stylish bag that also had anti-theft features built-in? Great news, promocodes shoppers: there is such a thing! Our friends at Baggallini have you covered. Check out these great finds! This sleek hobo bag is as safe as it is super stylish. RFID-protected wrist lets protect your passport and credit card info, so it’s perfect for the modern traveler. Your possessions are also protected with slash-proof SecurTex panels, and straps have anti-cut features. The zippers even lock. How cool is that? This highly functional bag is a steal at just $118. Available in four colors, and comes with a 1 year warranty. What are you waiting for? 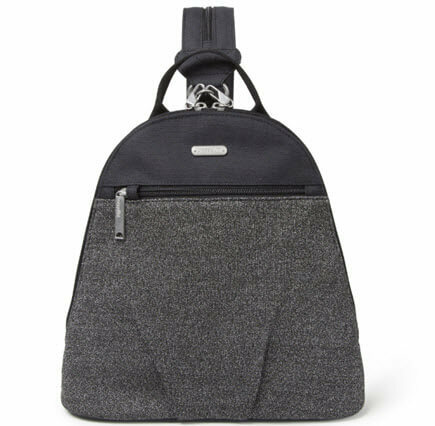 This sleek little backpack is as functional as it is fashion forward. 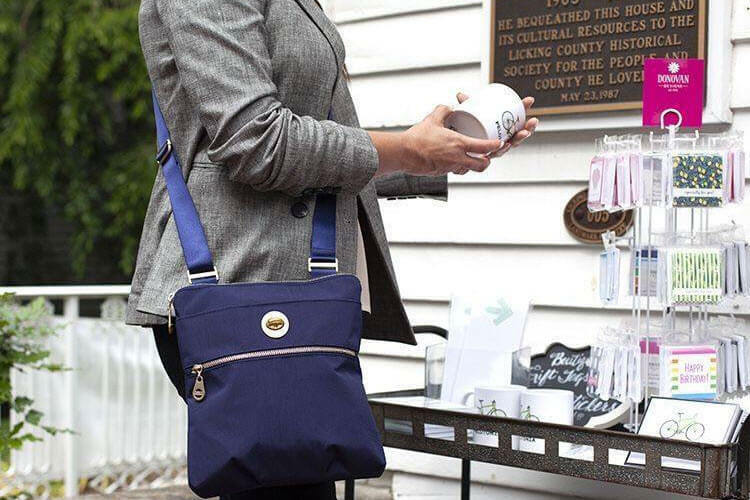 Available in four stylish colors, this pack features locking pickpocket-proof zippers, anti-cut straps, a removable RFID-protected phone wristlet, and slash proof fabric panels to keep all of your prized possessions safe. You can also change up the look of your backpack with converting straps that go from backpack to sling. It also comes with a 1 year warranty against manufacturer’s defects. This backpack is a must-have deal at just $128. 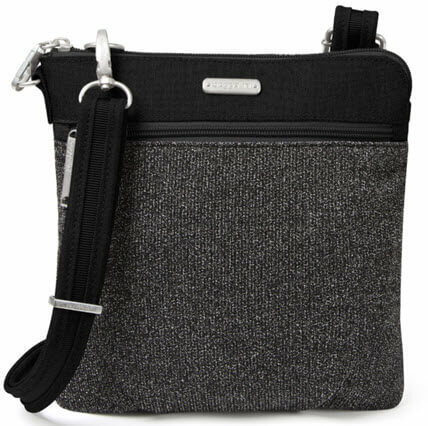 Classic meets convenience with this stylish and secure crossbody bag. Available in four colors, this anti-theft designed bag is another great choice for the modern jetsetter. 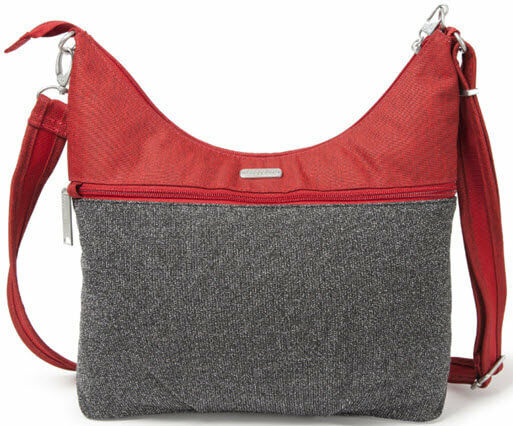 A fantastic deal at just $98, this sleek bag sports an RFID-protected wristlet, ensuring that your passport and credit card info stays safe with only you. The anti-cut straps and slash-proof panels offer the added reassurance that your possessions will stay safe. It also features locking zippers, a pocket for a battery pack, and a grommeted cord opening that will fit most charging and headphone cords. Now go forth and travel the world!